Britain’s latest Antarctic Research Station becomes fully operational this month, signalling a new dawn for 21st Century polar research. Opening one hundred years after Captain Robert Falcon Scott’s Antarctic expeditions, the new state-of-the-art research facility demonstrates the UK’s ambition to remain at the forefront of scientific endeavour. 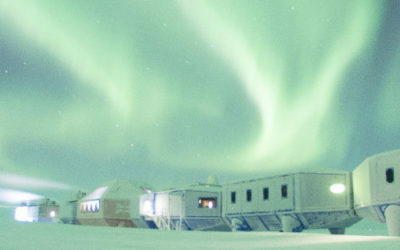 Funded by the Natural Environment Research Council (NERC) and the Department of Business Innovation and Skills, the British Antarctic Survey’s (BAS) Halley VI Research Station is set to become an icon for British science, architecture and engineering. The new research station, which replaces the 20-year old Halley V facility, is the sixth to be built on the floating Brunt Ice Shelf. The first station, occupied in 1957 for a Royal Society expedition during the International Geophysical Year, established the region as an important natural laboratory for studying the Earth’s magnetic field and the near-space atmosphere. It was data from Halley that led to the 1985 BAS discovery of the ozone hole. Hugh Broughton Architects and multidisciplinary engineers AECOM won the international competition to design a new research station. Their challenge was to create excellent laboratory and living accommodation that was capable of withstanding extreme winter weather, of being raised sufficiently to stay above metres of annual snowfall, and of being relocated inland periodically to avoid being stranded on an iceberg as the floating ice shelf moves towards the sea. Galliford Try won the £25.8 million construction contract and worked in partnership with technical teams from British Antarctic Survey. Construction was carried out during four Antarctic summers – each build season lasting just nine weeks. Construction teams worked round the clock in freezing conditions to complete this extreme challenge. To arrange media interviews with British Antarctic Survey scientists and technical teams, or obtain stunning broadcast-quality footage of Halley Research Station please contact the BAS Press Officers listed above. UK Minister for Universities and Science, David Willetts will give a guest address at an event to celebrate the new Antarctic station becoming operational at the Royal Society, London on Tuesday 5 February at 5.30pm. There have been five Halley Research Stations prior to this one on the Brunt Ice Shelf. When they became buried by snow and ice over time, they were crushed by the weight and had to be abandoned. The 150 metre-thick floating ice shelf is connected to ice on land but it flows at a rate of 0.4 km per year northwest from Coats Land towards the sea where, at irregular intervals, it calves off as vast icebergs. Whilst the previous ‘static’ research stations moved with ice flow the new station is designed to be relocated inland to avoid being lost as the ice breaks off as bergs. 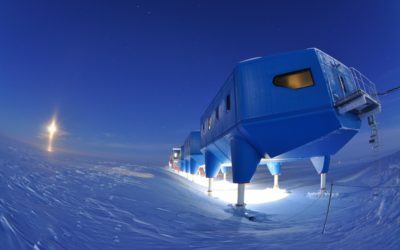 The new complex, replacing the current Halley V Research Station, is located 10,000 miles from the UK on the Brunt Ice Shelf. 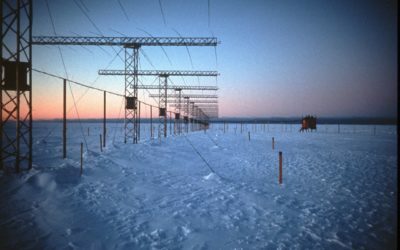 It was commissioned because of the growing risk that ice on which the former Halley Research Station was located could break off in the coming years. The former Halley (V) was demolished and removed. The research station was designed by Hugh Broughton Architects and AECOM after winning the Royal Institute of British Architects (RIBA) International Competition in 2005. The competition, launched by British Antarctic Survey (BAS) and RIBA in June 2004, attracted 86 expressions of interest. Six of which were selected to submit concept ideas and, in October 2004, three were commissioned by BAS to develop their concepts. The winning concept was then constructed by Galliford Try. 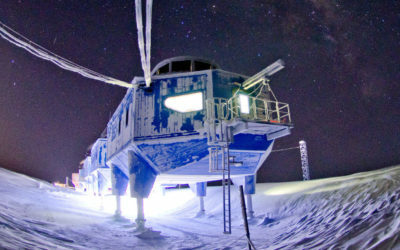 The new research station is built with an innovative concept featuring hydraulically elevated ski based modules, ensuring the station can be fully re-locatable — a world first. The station is a series of modules that are designed to suit the changing needs of the science programmes; and can be re-arranged or relocated inland periodically as the ice shelf flows towards the sea. Halley VI combines seven interlinking blue modules used for bedrooms, laboratories, offices and energy plants, with a central two-storey red module featuring a double-height light filled social space. Interiors have been specially designed to support crew numbers ranging from 52 in summer to 16 during the three months of total darkness in winter when temperatures at the base drop as low as −56°C. Hugh Broughton Architects are one of the established talents of contemporary British architecture with a portfolio of high quality and elegant designs spanning the cultural, science and business sectors. Pushing the frontiers of design and technology their projects are characterised by innovative, well-built spaces, which are a delight to use. AECOM is a global provider of design, engineering, consultancy and infrastructure services. Across its spectrum of expertise, it makes the connections for each client that best serve their immediate objective while fulfilling shared purposes – to create, enhance and sustain the world’s built, natural and social environments. Galliford Try is one of the UK’s leading construction and house-building groups and a FTSE 250 construction company with turnover in excess of £1.5bn per annum.  The Group provides whole life solutions to projects for the built environment, delivering housing and regeneration schemes and carrying out construction projects from public and commercial buildings to major civil engineering schemes.